Hi guys! 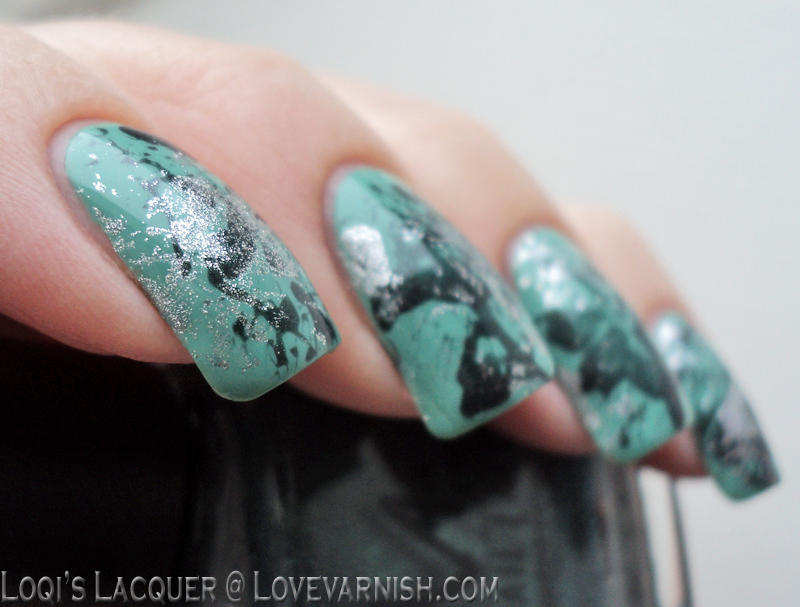 Do you like splatter nailart? I do! It's quite messy to make, but I like the random results you get. For those who don't know how to do this technique yet: you take a drinking straw and cut it a bit shorter (about 6cm is nice). Then you put a little polish on a piece of paper, dip your straw in and blow air trough it in a short, sharp burst. Be careful not to do this too fast too often or you will become nauseous! Also put some paper towels on your work surface, because the splatter will fly everywhere! Then use a brush and some acetone to clean up and use a nice topcoat because sometimes the splatter can be a bit thicker and lumpy. 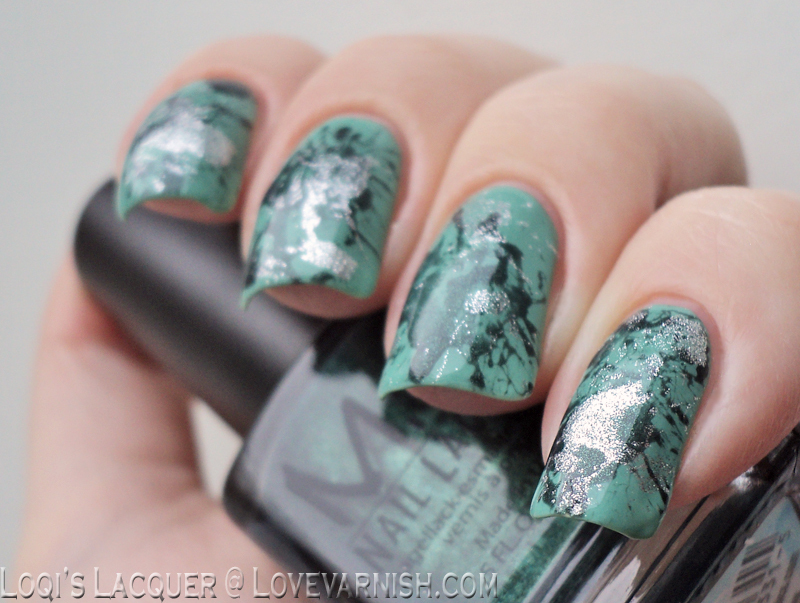 I made this manicure with polishes that fit our new blog colours! 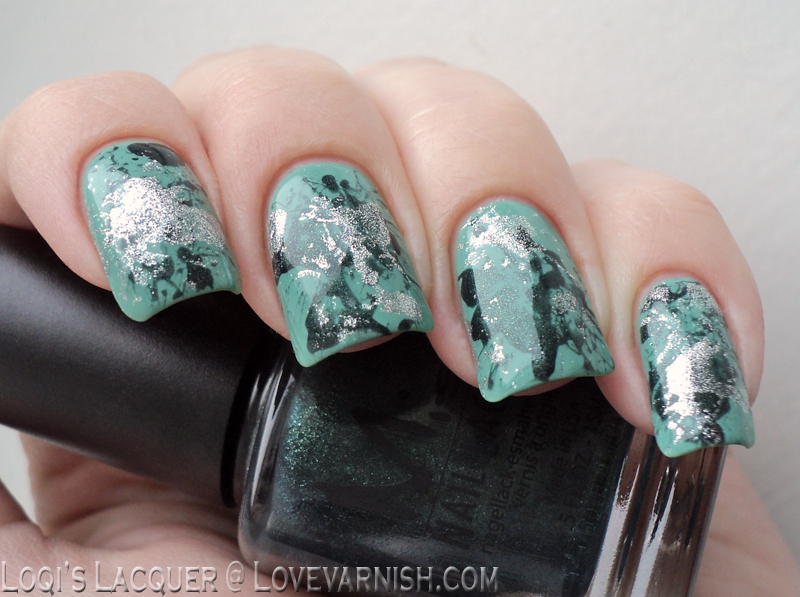 Herome New Delhi as a base and Misa Toxic seduction and an old nameless silver from Hema as the splatter polishes. I like using crèmes and shimmers/glitters together to give the manicure extra contrast. I hope you guys like it and see you next week! Really nicely done! Shimmers are fun for splatters but the cleanup is even more terrible haha. 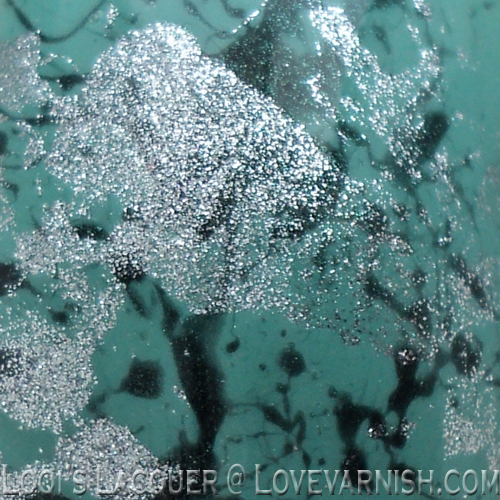 Haha, yeah, this silver one.. particles everywhere! I had to rub my hands with a wet cloth before taking these pictures lol.